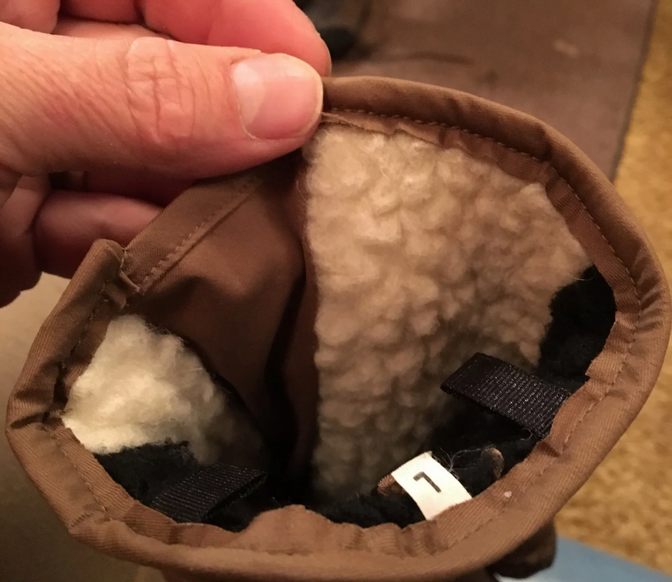 First Lite sent me a prototype* of their Alpine Cold Weather Glove back in September, 2018. 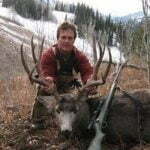 I happened to be leaving in just a few days for a high country buck hunt. A big wet snowstorm was brewing in the Pacific and promised to bring snow and cold temperatures to the mountain range I’d be hunting. I only had a few mornings to wear the gloves and decide whether to take them along. 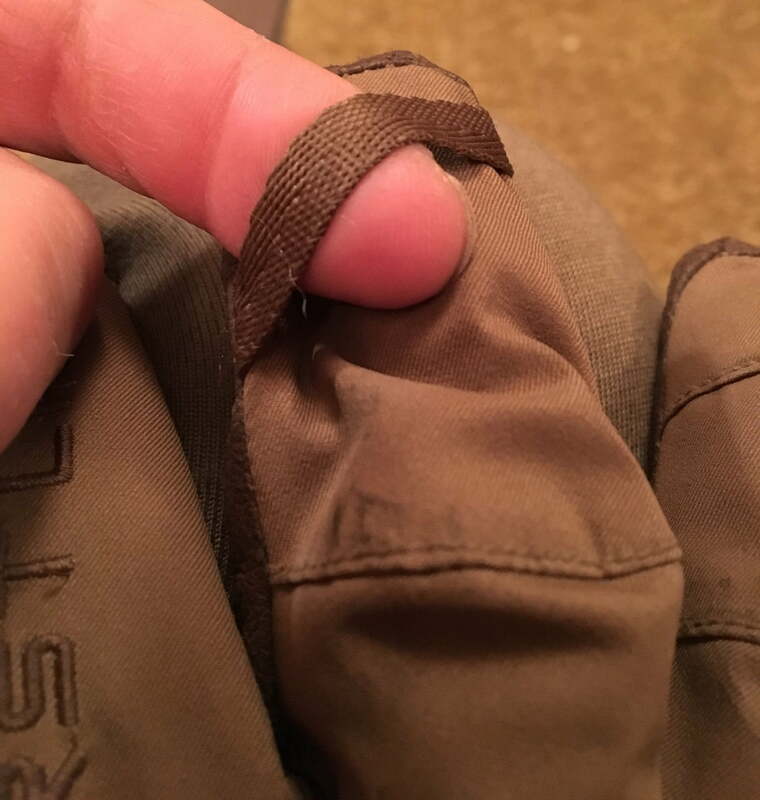 For the last 15 years, I’ve relied on a proven oversized ski glove with military wool insert, so I was a little hesitant to fully rely on the new glove. These new Alpine Cold Weather Gloves (link here) feature shearling wool insulation. They are definitely warm enough. Although a little on the bulky side, their articulated fingers allowed a decent level of dexterity so I wasn’t constantly pulling them off for every little job. To note, I used First Lite’s sizing chart to determine my size large and found it accurate. They feature a cuff zip that makes donning/removing the gloves easier, and you can open the glove up for faster drying. There is also a handy webbing loop on the middle fingers. This aids in drying or to clip to a carabiner on a pack for quick access. 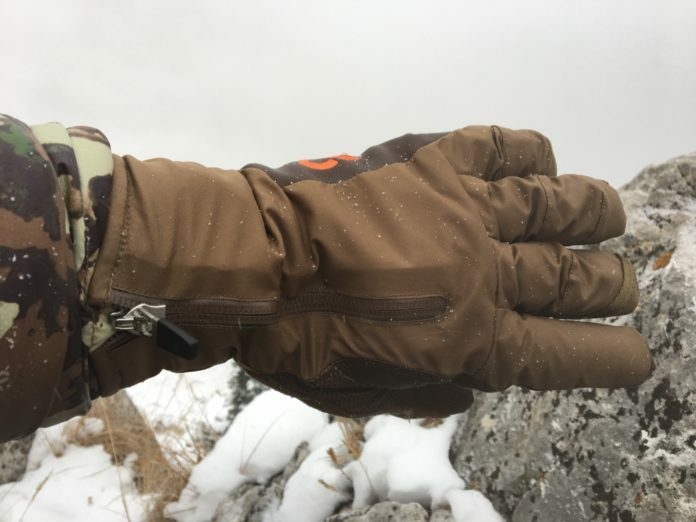 After my short test run in temperatures around freezing, I decided the Alpine Cold Weather Gloves were a good choice for this upcoming hunt. I left my ol’ trusty ski gloves behind for the first time in many years. At the trailhead, the temperature was near freezing. I had a four-hour horseback ride ahead of me, so I pulled on the Alpines and climbed on my saddlehorse, Charlie. Behind me on a 10-foot lead rope was my 18-year old mare, Missy. This meant I’d be running Charlie’s reigns and her lead rope at the same time, requiring at least some dexterity. Four hours later I broke into the 9,000 foot meadow where I’d camp. The gloves worked just fine for the packing job. I’d only stopped once to balance a pannier and stretch my legs, so I was very inactive. Although some coolness began to creep in, my hands had not gotten cold, even though the final hour of my ride was well below freezing. 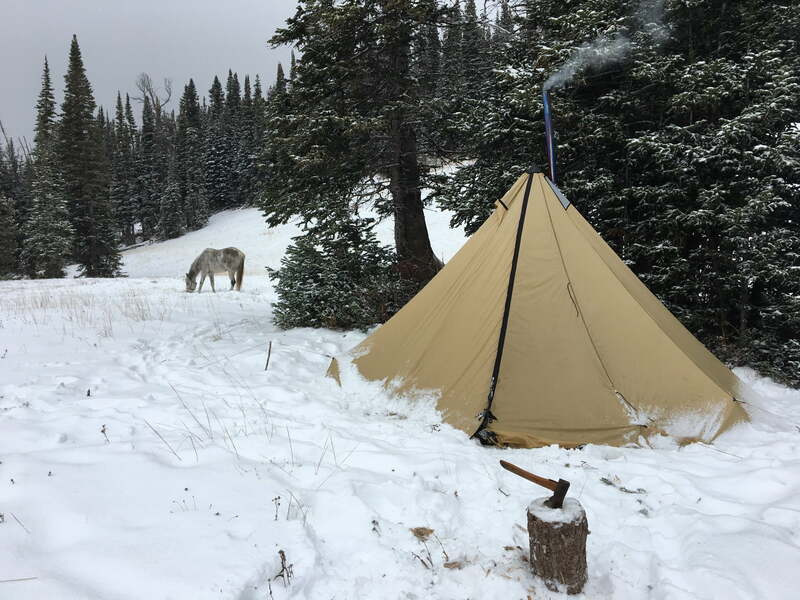 Tying the horses, I traded the Alpine Cold Weather Glove for the Catalyst Soft Shell for camp work. The smaller glove was much more suited for that type of activity (review here). Over the next five days, the storm punched into the Rockies with a foot of snow and average temperatures in the mid-twenties. I found the Alpines were good for glassing and riding horses, but a little too warm for steady hiking. I’d have to pull them off to keep from over-heating. 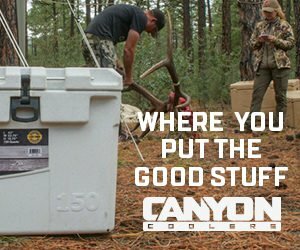 They are listed as breathable/waterproof via First Lite’s 3.5-layer 37.5 waterproof-breathable shell and waterproof insert. 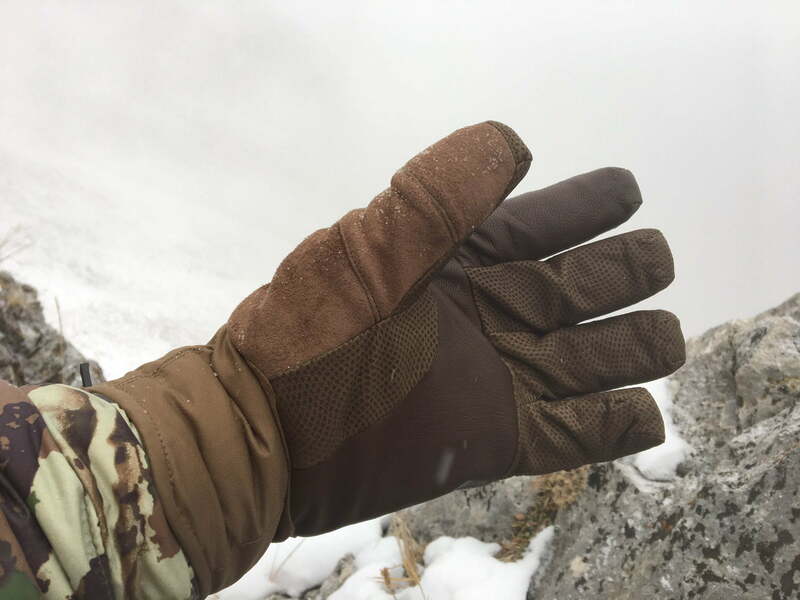 Although I mostly encountered snow and not rain, I can attest to the Cold Weather Alpine Glove’s ability to at least resist water, (and move away a reasonable amount of perspiration). I’m not saying they aren’t waterproof, but I never had enough rain to substantiate that claim. The weather continued to get colder, and by day five, bottomed out in the low teens. 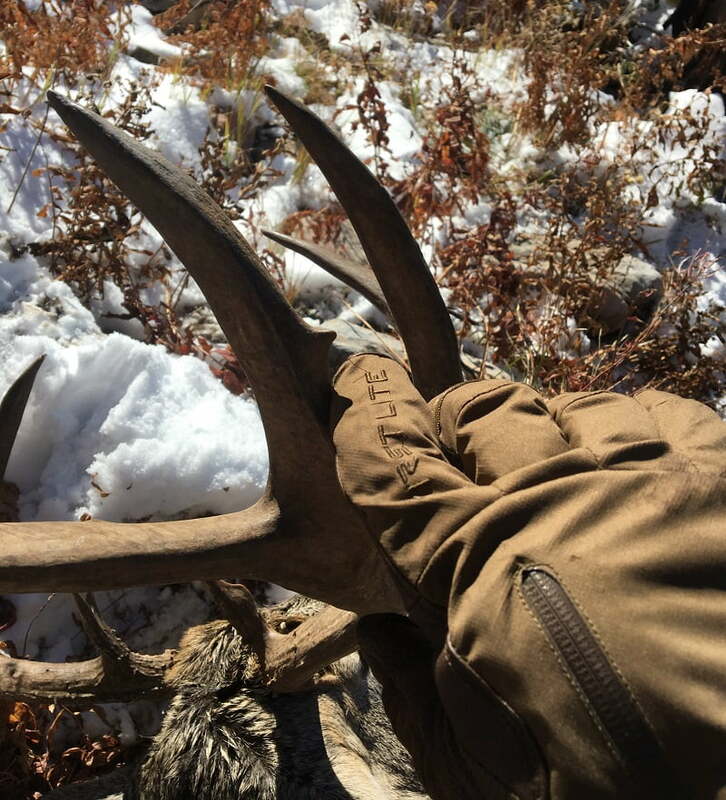 Daylight found me on a knife ridge with 15+ mph winds eating at me. The charts tell me that is below-zero wind chill. That’s cold and I did feel the cold creep in when I was inactive for a time, but a quick walk would restore circulation and heat. As I got more active, I eventually put the Alpines in my pack and donned the Catalysts. Even in those temps, a long hike would likely overheat me in the Alpines. If you find yourself hunting sub-freezing temps and could be inactive at times, I’d recommend the Alpine Cold Weather Gloves. They allow decent dexterity for a glove of this thickness. At least in snow, they are very waterproof. The gloves offer good breathability but due to their warmth, you’ll still perspire under exertion. The webbing loop will come in handy when drying the gloves or even clipping to a carabiner. I do wish they had clips to attach the gloves together for storage. I’d estimate that you’d get several to many more seasons of use if you took care of them. At $110.00 – $120.00, The Alpine Cold Weather Glove is a good value. You can buy the gloves here.